Overlooking one of the most beautiful bays in the Mediterranean, the VOI Grand Hotel Mazzarò Sea Palace is located in the Bay of Mazzarò, one of the most beautiful places of Taormina Mare. Its position is enviable: the private beach is just opposite the hotel and at 50 meters from the hotel is the cable car that takes you up to the city centre of Taormina. The international Airport Catania-Fontanarossa (CTA) is located 60 km from Taormina. The location just in the middle of the bay with spectacular view over the bay. The interiors of this 5-star hotel are luxuriously furnished in a contemporary style with lots of white. The VOI Grand Hotel Mazzarò Sea Palace has a private equipped beach (small pebbles), ideal for those wishing to spend a holiday close to the sea. From the hotel terraces you can enjoy a beautiful view, particularly romantic by twilight sky. After a day at the beach it is a real pleasure to enjoy the excellent dishes prepared by the chef and finally relax, listening to the soft music of the piano bar. The are 82 rooms and Suites have all a minibar, air conditioning, safety box, satellite TV, Pay TV, SKY complimentary, pillow menu. The beds have memory foam mattresses. The bathrooms offer shower/tub combination, bathrobes, slippers, hairdryer and courtesy set ETRO. All rooms are non-smoking. The inner rooms are located on the back side of the hotel with no balcony and no sea view. The Wi-Fi internet connection is available free of charge until 3 MB; for 10 MB per day per device is € 5,00. The rooms and Suites (Junior Suite, Suite, Suite Exclusive) are well furnished and have bathrooms with elegant marble sink tops. Some have a living corner or a living room, some have a balcony or private terrace furnished with deckchairs, table and chairs. Some have a lovely view over the sea or over the bay. The Suites with private pool whirlpool are situated in a quiet location ensuring maximum privacy. They are elegantly decorated and feature a living room separated from the bedroom where you can add one or two extra beds for children staying with parents. They have a terrace with deck chairs, table and chairs and are equipped with a small private plunge pool overlooking the bay. The Grand Hotel offers a private beach, equipped with umbrellas and sunbeds. The beach is not sandy but has small pebbles and thanks to a good location, in the middle of a small bay, the beach is wind-protected. There is a direct beach access from the terraces of the hotel. For those wishing to regenerate with wellness treatments, the VOI Grand Hotel Mazzarò Sea Palace offers the opportunity to book spa treatments in the HYD'OR Wellness Centre, offering exclusive treatments to pamper and soothe your body, mind and spirit. The choice of treatments is wide, ranging from Ayurvedic massages to treatments for face or body. For the dinner: what’s better than tasting the dishes of Sicilian cuisine sitting on a terrace overlooking the sea during a romantic dinner by candlelight? The restaurant Il Gattopardo in an elegant and refined setting offers customers the possibility to enjoy delicious dishes expertly prepared by the chef in front of a natural setting of rare beauty. The hotel is wheelchair accessible, direct access to the beach, sun umbrellas, sun chairs, pool towels, water sports activities, elevator, babysitting on request, bar, concierge, gym, parking/valet service (extra charge), saltwater pool, conference room, laundry and room service, non-smoking rooms. 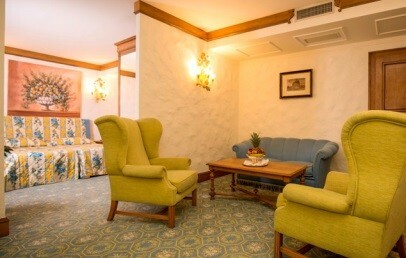 Well refined and cozy double room with memory-foam mattress. The marble bathroom has a shower/bathtub, hairdryer and bathrobes. The room has sea view and a furnished balcony with chairs and table. 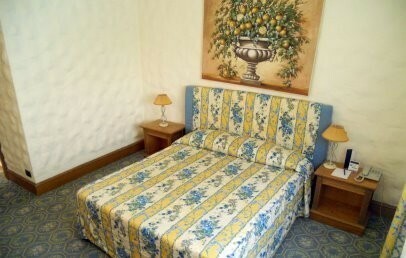 Large and cozy room with living room, double bed with memory-foam mattress and furnished with warm colours. The marble bathroom has a double sink, shower or bathtub, hairdryer and bathrobes. The Junior Suite has a nice terrace furnished with chairs and a table. 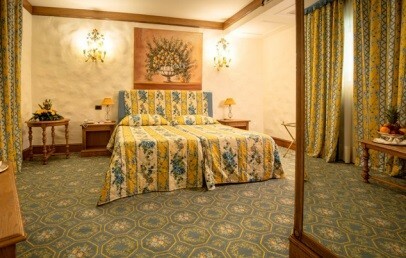 Beautiful Suite, located in a private and quiet area of the hotel. The suite is furnished and decorated in warm colours and the double bed has a memory-foam mattress. It consists of a separate living room that can accommodate, on request, one or two extra beds for children. The bathroom is covered in marble and has a shower or tub, bathrobes and hairdryers. The Suite offers a spacious terrace with private pool with whirpool function. 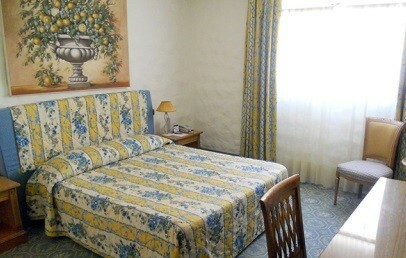 Comfortable double room. The marble bathroom has a shower/bathtub, hairdryer and bathrobes. The room is without sea view and without balcony. Comfortable rooms with large private terrace, equipped with table, chairs and chaise longues and nice view over the sea. The bathroom has double marble sinks, shower or bathtub, bathrobes, hairdryer, slippers and courtesy set. Some rooms are interconnecting (available on request). Spacious room located on the back side of the hotel with no balcony, with a window overlook a inner courtyard. The room is comfortably furnished with Memory Foam mattresses. The marble bathroom has a double sink, shower or bathtub, hairdryer, bathrobes, slippers and courtesy set.